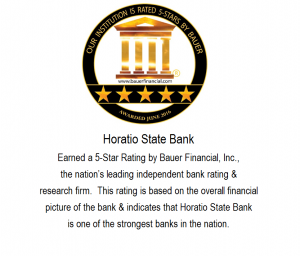 Horatio State Bank has been family owned and operated since 1905, putting us in the unique position of living and working alongside you. As a full service bank, we at HSB would love for you to join our family and let us help you meet your financial needs. If you have any questions, please come by or call us today at (870) 832-2501.